Copyright 1992. Published by Doubleday. 312 pp. 8vo. Green and white binding with gilt title on backstrip. 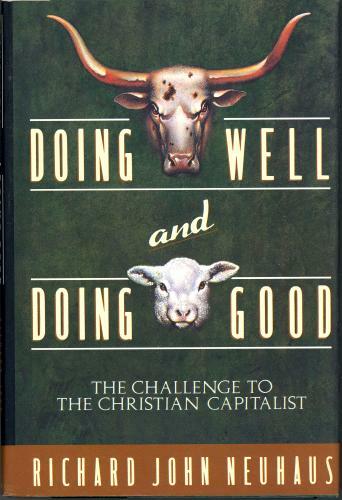 "This is a book about doing well and doing good, about taking care of business and taking care of one another. ...is there a way to lead a good life amid the challenges of today's leaner and meaner world economy?" "As man cannot live by bread alone, the free market cannot flourish by economics alone." Very Good condition. Dust jacket is gently bumped at bottom of spine.